Michele started her training in holistic healing at 5 years of age, in the medicine garden she helped tend with her Italian grandfather. When helping with the weeding and harvesting, Grandpa Nick taught her that "food was medicine". He believed the fruits, vegetables and medicinal herbs in the garden had an inner knowledge in the way of healing our bodies. He knew when he placed a sprig of peppermint in her hand she would feel and hear the plant whisper to her its wisdom. Michele has fond memories of many happy childhood days, with her toy doctor's kit dispensing "medicines" - currant berries, spearmint leaves, red and green grapes and dandelion greens - to her baby dolls, family cats and neighborhood kids for their "pretend" ailments. This was no doubt the first workings of a young healer's calling. **********************************************************************In the young In the young adult years of her life as a Cosmetologist & Make-Up Artist, her first business "Michele's Coiffures" allowed her to share the importance of health and beauty. She offered advice to her clients about the herbs and foods that would feed and nourish their hair and skin. But it wasn't until the birth of her first child in 1973, a beautiful daughter born with digestive issues, that Michele seriously returned to her "herbal roots" in an effort to restore the health of her little girl. By 1978, she began her quest for a formal education in natural healing. Over the course of the next ten years (during the pregnancies and births of her two sons), she studied herbal medicine and whole food nutrition. By 1985, Michele had obtained her Chartered Herbalist and Master Herbalist degrees from Dominion Herbal College, Burnaby, BC, as the pre-requisite for a doctoral program. In 1988, Michele completed the course requirements to receive a Ph.D. in the Health Sciences of Botanical and Homeopathic Medicine from Union University in Los Angeles, CA. With her classical training, she has shared her message of holistic, herbal and homeopathic wellness, in every state she has lived in, for over 30 years. 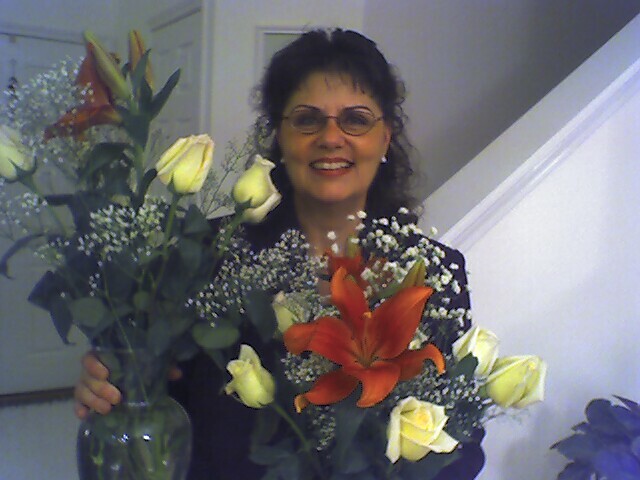 In California, "Michele's Herbs", her herbal/nutritional business, formulated and distributed herbal combinations, offered credit and non-credit adult education classes in herbal remedies, plus post-graduate studies in herbal medicine and homeopathy for holistic nursing students at Mount San Jacinto College in Hemet. She was a featured speaker at local health food stores, wellness workshops and holistic health events in Orange, Riverside and North San Diego counties. Upon moving to Montana, she began and maintained her private practice while creating and teaching holistic, herbal and homeopathic classes for students and registered nurses at Western Montana College in Dillon. In Bozeman, while still in private practice and clinic management, she created and facilitated empowerment workshops for the local women's resource center and local churches, taught holistic infant wellness at day care centers, presented herb classes for local health food stores, and provided instruction on homeopathy for grief resolution to hospice administrators, counseling staff and volunteers. After the family move to Vermont, she was hired as the Executive Director of "The Natural Apothecary", a retail test market store, herbal dispensary, and facility for natural health and beauty products. This store was created by Paul Schulick, M.H, founder of the natural food supplement company now known as "New ChapterVitamins". With two locations in Brattleboro and West Dover, Michele created a unique "health-ful boutique" environment that encouraged community participation. As the Director and on-site Holistic Practitioner, Michele designed these stores to offer a daily schedule of natural health care therapies such as Rejuvenation Facials, Reflexology, and Chair Massage by local practitioners. Herb classes, workshops and natural health care resource materials were also made available to both practitioners and public alike. "What you search for is also searching for you." ******************************************************************** In 1993, upon returning to Helena, Montana, Michele opened "New Dimensions Healing", a counseling service to facilitate the holistic programs she created for the Montana Courts and Judicial System of Lewis and Clark County. A first of its kind in the state, Michele's program addressed a campaign for domestic violence rehabilitation, sexual abuse support and drug/alcohol rehabilitation for offenders and victims using holistic principals, herbal nutrition and homeopathic remedies. While in Helena, she consulted Chiropractic and Holistic clinics in management and marketing, was regarded as a respected leader in natural health care, public speaker and advocate for holistic, herbal and homeopathic healing for the spiritual and emotional issues of interest to local churches, hospitals, hospice care, charitable and civic organizations. She also added the title of "Professional Innkeeper" to her list of achievements as Co-Manager of a local Victorian bed & breakfast and Assistant Innkeeper of a local country inn. In Idaho, Michele continued her healing work when moving her practice to Boise in 2001. While operating her practice and managing the marketing at Energetic Chiropractic Clinic, she took the summer job of Housekeeping Manager for Redfish Lake Lodge in 2002. Also, in 2001, with a quest to fufill her desire for all things spiritual, Michele began her ministerial studies and in April of 2002 became an ordained inter-faith minister through the Conference of Churches & Institute of Study in Boise, Idaho. At which time, her children affectionately nicknamed her "RevDocMorgan". In the Fall of 2002, she joined the members of the Idaho Coalition for Natural Health (ICNH) to oppose the exclusive naturopathic licensing legislation being introduced to amend the existing health freedom law, Title 54. This bill served to threaten the non-licensed natural health care community of Idaho. Michele served on the ICNH Board as Communications Chair in 2001/2002, Vice–President in 2002/2003 and President in 2004/2005, helping lead the statewide effort to successfully defeat, in 3 successive years, these exclusive naturopathic licensure bills. As President of the ICNH, Michele worked relentlessly to co-author and secure passage of SB1158, the Naturopathic Licensure Act of 2005. This law guarantees the health freedom rights of both non-licensed practitioners and naturopathic doctors in Idaho and currently stands as landmark legislation for natural health care across the country. In an effort to facilitate her lobbying and grassroots organizing campaigns across the state, she created "WING! ~ Wellness Information & Networking Group", a monthly luncheon meeting designed to build relationships, networking opportunities and education in health freedom for the natural health care community, legislators, media and citizens. In 2005, with the passage of the law, Michele took a position with the national office of the Coalition of Natural Health, in Washington, D.C., as their Grassroots Organizer and WING! Coordinator. In this work, she traveled across the country instructing non-licensed practitioners on the necessity for political action to protect their rights to practice. As the public speaker and presenter for the CNH, she helped grow the grassroots and lobbying campaigns for health freedom legislation in several states. Her choice to resign from this CNH position to explore real estate sales (licensed in Idaho and Washington), created the opportunity to do grassroots organizing part-time for the CNH and serve again as the Vice-President and Legislative Chair for the ICNH until retiring from all board positions in 2008. With all the professional, political and personal experiences and accomplishments of the last few years paving the way, Michele's healing practice took on new meaning. "The Oyster & The Pearl" is the expression of that; the grain of sand that nudges the oyster to do its best work. It is the perfect metaphor to explain the journey of life's purpose for this well-trained, experienced and gifted healer/practitioner, leader/speaker and manager/marketer. In addition to her private practice and clinic management in Boise, Michele became the first Chapter Leader of the Holistic Moms Network Boise-Treasure Valley-Idaho when she started the chapter in November of 2009. In June 2010, she moved to the Pacific Northwest to be closer to her family, as the Operations Manager/Sales & Marketing Consultant for Elements Therapeutic Massage in Ballard, WA, Director of Medical/Dental Staffing for Express Employment Professionals in Shoreline, WA and was the CFO for seven years, for Altered Earth, LLC, while continuing her private practice/clinic management/marketing, consulting & ministerial work through The Oyster & The Pearl, from both her home office and her office at the Mind Body Professional Center, in Puyallup, WA. In April of 2017, Michele returned to Idaho to continue her homeopathic practice and take on the clinic and administrative management position at The Karlfeldt Center in Meridian, Idaho. In September 2017, Dr. Morgan was forced to resigned her position at The Karlfeldt Center, due to a rear-end collision auto accident that required months of treatment and knee surgery. She began seeing patients in her home office, in South Boise, on September 5th, 2018. In April of 2019, Dr. Morgan joined the Faculty of the Los Angeles School of Homeopathy, as the Mentor for Third Year Students, in the required Mentorship Program. Grandmother of six delightful grandchildren. 3. Private Practice of Michele S. Morgan, Ph.D.
"What is Asking to be Healed?